The Headbang II by Aspen is a hairpiece attached to a cotton headband, which offers coverage in the front hairline and back. 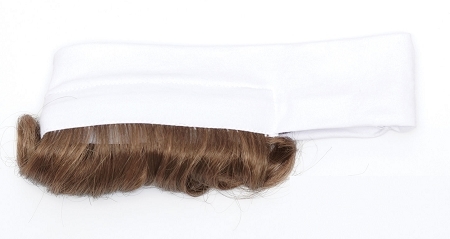 This hairpiece has spacing around the ear for extra comfort. The bang can be combed to the side or trimmed as preferred. This hairpiece can be worn under a turban, hat or scarf.